For those of us in Montreal who came out in support of the Philippe Couillard’s Quebec Liberals, the massive voter turnout elsewhere in Quebec and resultant majority for François Legault’s Coalition Avenir Québec’s places this city and island suburbs, where most anglophones live, in a peculiar position. We are outsiders looking in, and that represents a huge challenge, for our community and the new government. Legault on election night did say in English, “my government will be your government.” We will follow closely his legislative agenda. was when Alliance Québec was created as a rallying point to develop strategies, responses, and common positions. 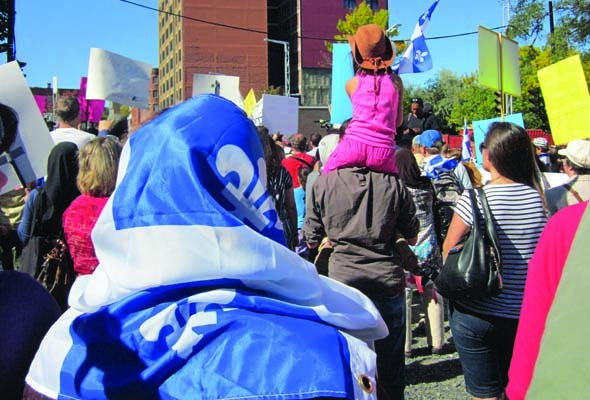 That responsibility will now fall on the shoulders of the Quebec Community Groups Network, which links more than 50 English-language community organizations and encourages dialogue and collaboration among them. It now will be called upon to play a similar role with the new government. In that context, we urge Legault to meet with them, and maintain the role and responsibilities of the Anglophone Secretariat, created by the Liberals. There are plenty of CAQ policies that our community has every reason to challenge. One reason many refused the CAQ call for support is its policy on immigration. Legault was weak on this issue, and had to backtrack on his promise to expel immigrants who fail to pass the Quebec French language and “values” test that it planned to impose, even though only the federal government has the power to rescind someone’s landed immigrant status. His plan to cut immigration levels to 40,000 from 50,000 makes no sense in light of an emerging labour shortage as our economy thrives. The CAQ needs to rethink this myopic, retrograde, and insular approach. It flies in the common sense and Quebec’s traditional welcoming of the newcomers we need to sustain growth. When it comes to values, we urge the new government to not a restrict those in positions of authority, such as police, judges, teachers, from wearing so-called ostentatious religious symbols, such as the Sikh turban, Jewish Kippa, or Christian crucifix. Are doctors and nurses next? We see this as a challenge to individual rights and freedom of expression, unnecessary, divisive, and counter-productive. any eventual Supreme Court rebuff is a misuse of this power, which should only be used in extreme urgency and is a portent of serious conflict ahead. Similarly, the CAQ pledge to eliminate elected school boards and replace them with service centers is an attack on one of the last policy domains where English-speaking Quebecers have some control. Yes, the turnout for these elections is slim, but there are ways to schedule the elections, at the same time as municipal voting, to increase participation. Scrapping school boards will lead to constitutional challenges and be seen as an attack on traditional community rights and responsibilities. The CAQ promises to expand highways and welcome fossil-fuel exploration, with almost nothing to protect our fragile environment and clean up polluted lakes and rivers. On the plus side it must be said that Legault is in favour of a carbon tax, one way in which he has tilted the CAQ toward the political centre. We are concerned about his plans to slash jobs in the public service including Hydro Quebec. Even if it’s through attrition, we say ‘yes’ to greater efficiency, ‘no’ to across- the-board cuts that can only mean reduced services. Legault does get credit for promising to restore the $8 a day charge for public daycare, rather than the sliding scale depending on income that the Liberals brought in. It remains to be seen how soon and to what extent this change is effected. The pledge to make kindergarten compulsory from age 4 instead of 5 ignores the effective role that well-run daycare centres already provide. This policy deserves a rethink. There is a more hopeful sign when it comes to seniors, although its plan for a $20 billion “project of a generation” to replace all of Quebec’s long-term care facilities with smaller centres over 20 years, sounds good, but ignores the need for a more measured approach, economies of scale, and the fact that some existing facilities offer excellent care. We are more impressed by its original pledge to provide two baths a week to residents, not just one, double meal budgets, unspecified “greater care” for residents, and renovate premises, and more help for family caregivers. Following the death of her husband, the return to politics of former Liberal Marguerite Blais, who served as minister responsible for seniors, is a positive sign. She would be an ideal minister. We also appreciate the promise to consult Quebecers on the possibility of the right to seek medically – assisted death for those with Alzheimer’s or other degenerative conditions. We eagerly await the appointment of the first CAQ cabinet and the unfolding of its policy priorities. Legault is a pragmatist, a successful entrepreneur, and although he has pledged to keep his promises, we expect some policy changes, and we will be watching. 1 Comment on "Editorial: We are concerned but hope Quebec’s new regime will listen"
Are CAQ’s schoolboard reforms a threat ? There is no attack. English-speaking Quebecers will have full control of their schools. One wonders who will pay for this challenge? The Quebec Community Groups Network? 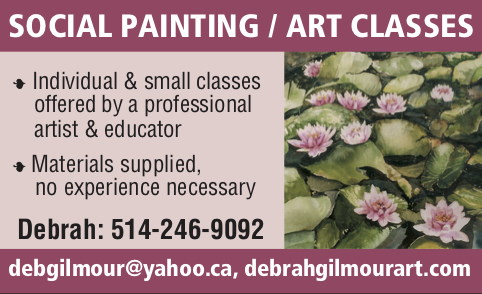 The Quebec English School Boards Association? Just because those groups say the ditching of school boards is unconstitutional, it doesn’t mean it’s so. The CAQ plan calls for local democracy to be exercised at the governing board level, where parents, teachers, principals, professionals and support staff will have greater decision-making power.